The ESC Series pumps is a self priming low amp draw pump and offers great flow rates with high energy efficiency and extremely quiet. This external pond pump offers a range of flow rates 6400 GPH to 9600 GPH and features a built in strainer basket/algae trap designed for easy serviceability and installation.These pumps are some of the most reliable pumps on the market with the longevity to run for years to come and are the perfect choice for pond and water features builders & enthusiasts alike. Designed for out of pond applications, these are NOT SUBMERSIBLE PUMPS. The ESS Series pumps is a self priming, high performance, low amp draw pump and offers great flow rates with high energy efficiency and is extremely quiet. The pump offers a range of flow rates from 5200 GPH to 9600 GPH and features a large built-in strainer basket/algae trap designed for easy serviceability and installation. These pumps are some of the most reliable pumps on the market and are the perfect choice for pond and water features builders. Designed for out of pond applications these are NOT SUBMERSIBLE PUMPS. The ESC Series pumps is a self priming low amp draw pump and offers great flow rates with high energy efficiency and extremely quiet and is offered in a range of flow rates from 6400 GPH to 9600 GPH and features a built in strainer basket/algae trap designed for easy serviceability and installation.These pumps are some of the most reliable pumps on the market with the longevity to run for years to come. These are the perfect choice for pond and water features builders & enthusiasts alike. Designed for out of pond applications, these are NOT SUBMERSIBLE PUMPS. The Evolution ESC Series pumps are a high quality low cost pond & water feature pump that is designed to produce high flow and low energy consumption with true 2 inch suction and discharge. These external pond pumps come with 2 inch quick connect unions. The ESC Series pumps is a self priming, low amp draw pump and offers great flow rates with high energy efficiency and is extremely quiet. These pumps are offered in a range of flow rates 6400 GPH to 9600 GPH and feature a built in strainer basket/algae trap designed for easy serviceability and installation. These pumps are some of the most reliable pumps on the market, with the longevity to run for years to come making them the perfect choice for pond and water feature builders & enthusiasts alike. Designed for out of pond applications, these are NOT SUBMERSIBLE PUMPS. The Evolution ES Big Boy pond & water garden pumps are High performance, High flow, High energy efficiency industrial grade pumps that feature a true 3 inch suction and discharge and comes with quick connect unions.The ES Big Boy achieves phenomenal flow rates and low energy consumption throughout the ESBB line of pumps These professional grade self-priming external pumps are specifically engineered to provide years of exceptional performance and reliability with the lowest possible energy consumption with whisper quiet operation. These economical out of water pumps are an ideal choice for use in large ponds, fish hatcheries, and commercial water features. Trusted by experienced pond builders worldwide, the Big Boy Pumps are also an ideal choice for use with larger Filters and other professional pond filtration systems. When you compare actual flow rates and wattage consumption to competitor pumps on the market today, the Big Boys are in a class of their own! Manufactured and assembled in the USA and covered by our exclusive warranty, these durable workhorse energy saving pumps are built to last. Certain models feature custom engineered quality US-made Leeson and Baldor motors. Offering exceptional value, the Big Boys are truly the professional's choice. The evolution ES Big Boy pond & water garden pumps are High performance, High flow, High energy efficiency, industrial grade pumps that feature a true 3 inch suction and discharge and come with quick connect unions. The ES Big Boy achieves phenomenal flow rates and low energy consumption through out the ESBB line of pumps These professional grade self-priming external pumps are specifically engineered to provide years of exceptional performance and reliability with the lowest possible energy consumption and whisper quiet operation, these economical out of water pumps are an ideal choice for use in large ponds, fish hatcheries, and commercial water features. Trusted by experienced pond builders worldwide, the Big Boy Pumps are also an ideal choice for use with larger Filters and other professional pond filtration systems. When you compare actual flow rates and wattage consumption to competitor pumps on the market today, the Big Boys are in a class of their own! Manufactured and assembled in the USA and covered by our exclusive warranty, these durable, workhorse, energy saving pumps are built to last. Certain models feature custom engineered quality US-made Leeson and Baldor motors. Offering an exceptional value, the Big Boys are truly the pond professional's choice. 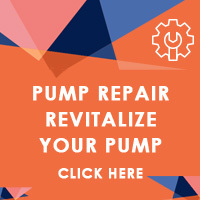 The Evolution ES Big Boy pond & water garden pumps are High performance, High flow, High energy efficiency industrial grade pumps that feature a true 3 inch suction and discharge and comes with quick connect unions. The ES Big Boy achieves phenomenal flow rates and low energy consumption through out the ESBB line of pumps. These professional grade self-priming external pumps are specifically engineered to provide years of exceptional performance and reliability with the lowest possible energy consumption with whisper quiet operation. These economical out of water pumps are an ideal choice for use in large ponds, fish hatcheries, and commercial water features. Trusted by experienced pond builders worldwide, the Big Boy Pumps are also an ideal choice for use with larger Filters and other professional pond filtration systems. When you compare actual flow rates and wattage consumption to competitor pumps on the market today, the Big Boys are in a class of their own! Manufactured and assembled in the USA and covered by our exclusive warranty, these durable workhorse energy saving pumps are built to last. Certain models feature custom engineered quality US-made Leeson and Baldor motors. Offering exceptional value, the Big Boys are truly the professional's choice.